Planning a destination wedding? You may be overwhelmed with all of the new all-inclusive resorts popping up all over Mexico and Jamaica. 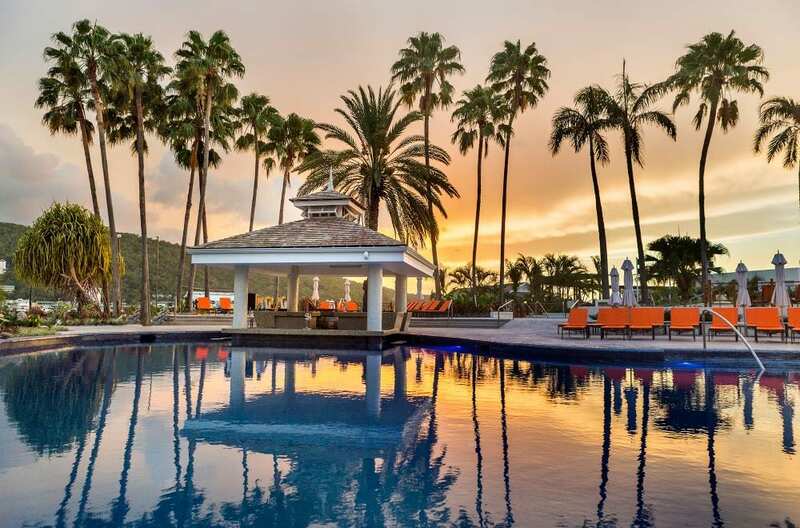 Two of our agents were lucky enough to stay at the new all-inclusive Moon Palace Jamaica Grande Resort and Spa in October for the Palace PRO Awards Gala. Everything from the staff to the food and even the quality of the beds in the guest rooms were nothing short of superb. 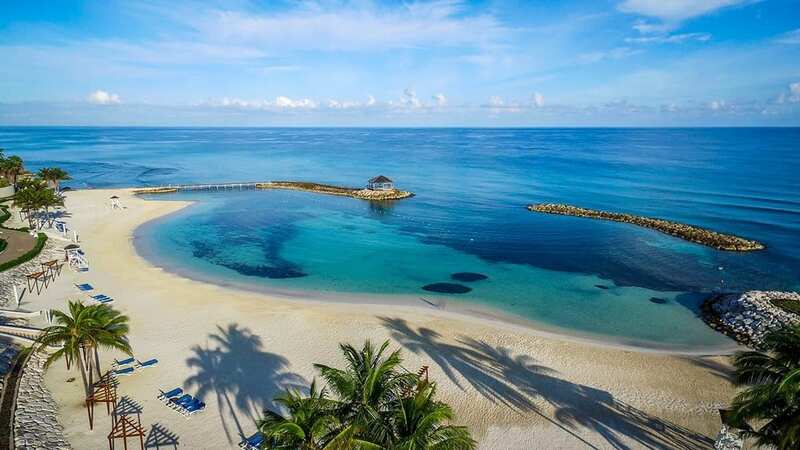 Along with its close proximity to downtown Ocho Rios, the Moon Palace Jamaica can organize a dolphin swim, a sunset cruise, a snorkel excursion and tours to Negril Beach, Sun Valley Plantation or Dunn’s River Falls. Back at the resort, guests can unwind on the property’s white sand beach, lounge around one of the four pools or grab a drink at one of the seven bars on property. This place is family-friendly so children of all ages can stay. Plus your wedding party will never get bored with the swim-up bar and nightclub open late! Le Blanc Los Cabos, part of the Palace Resorts brand, is known for its luxurious, spa-like amenities. This beachfront all-inclusive resort offer a variety of restaurants and bars, including seafood, French, Italian and international-themed restaurants. You’ll also find four relaxing swimming pools, indoor hot tubs and both daily and nightly activities. All of the guestrooms at this Los Cabos hotel have modern and spa-like decor and furnished balconies that offer stunning views. Le Blanc Los Cabos also features a spa with a wide range of services such as massages and hydrotherapy. When booking three or more nights here, guests can use their entire resort credit for spa services. Ask your travel agent for more information about this! The all-inclusive Jewel Grande Montego Bay Resort and Spa, opened in late-2017, features spacious suites, penthouses and villas to suit families of any size. A kids’ club and teen lounge, restaurants, premium alcohol, non-motorized sports, swimming pools, a fitness center, Wi-Fi, beach and pool concierge service, and airport transfers are all covered in rates. The resort also features a gorgeous spa. 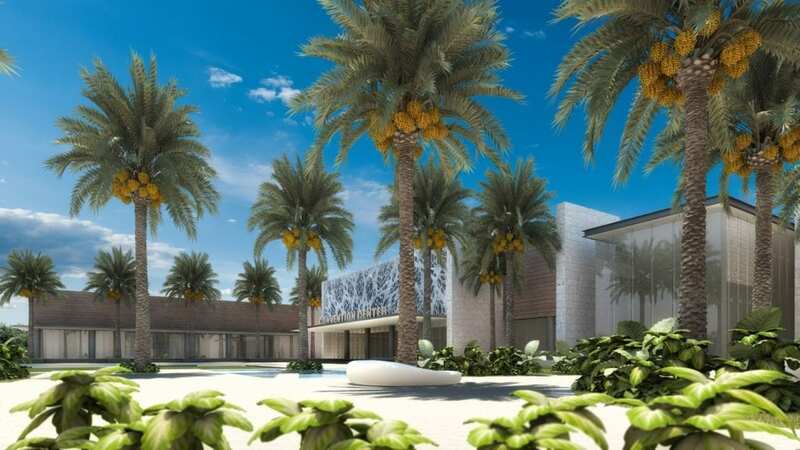 Palladium Hotel Group has announced plans to open the Grand Palladium Costa Mujeres Resort & Spa in Cancun. Expected to debut in 2018, the all-inclusive resort will feature nine restaurants, four swimming pools and a spa. Bonus: TRS Coral Hotel, an adults-only, all-inclusive resort, will open on the same property. 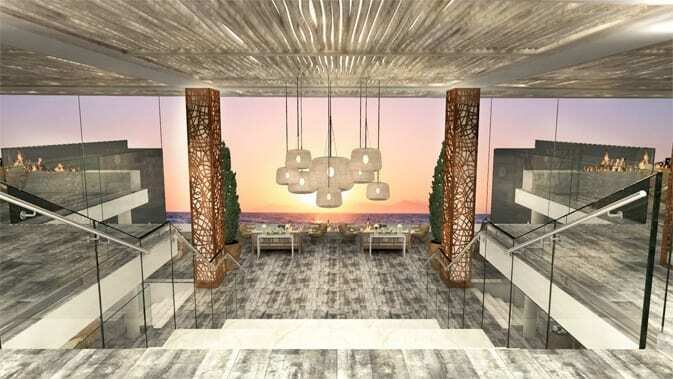 The above photo is a rendering of the entrance to this luxurious, family-friendly resort. Located along Pigeon Island Beach and next to Sandals Grande St. Lucian, Sandals LaSource St. Lucia will be the fourth Sandals Resorts property in Saint Lucia. The property will include the island’s first roof top infinity edge sky pool. 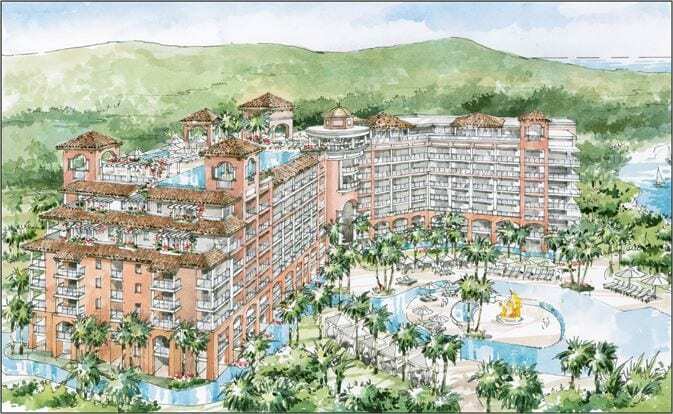 In addition, this will also be the first Sandals Resorts property to have continuous winding river pools surrounding every room block, all with unobstructed access to the main pool. Furthermore, the resort will feature 330 suites including 20 over-the-water bungalows, ten restaurants, and a brand new entertainment facility complete with a four lane bowling alley, games room and bar. The above photo is a rendering of the plans for the layout of Sandal’s Resorts’ newest all-inclusive, adults-only resort. Call us today at 402-281-3022 to start planning your dream destination wedding!